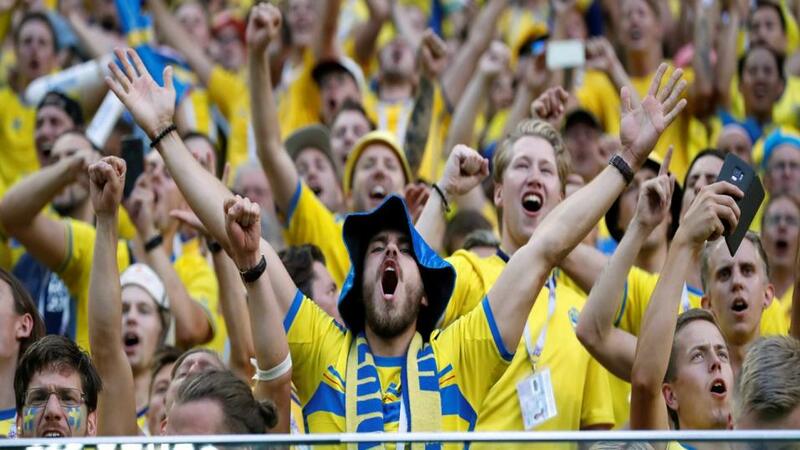 Will Sweden fans be celebrating after their match with Russia? The Nations League group games conclude on Tuesday and Dan Fitch is on hand with all the tips. "These sides drew 0-0 in October and with Sweden last three games have produced under 2.5 goals." This clash between two unbeaten sides will determine who will finish top of League D, Group 3, with Kosovo needing just a point to progress and second placed Azerbaijan requiring an away win. These teams drew when they met in the reverse fixture and with another draw being enough for the hosts to win promotion, the stalemate looks a big price at [3.6]. While Kosovo and Azerbaijan meet to decide who wins the group, Malta and the Faroe Islands will be battling it out to avoid finishing rock bottom. It was the Faroe Islands that won when these sides met back in September and Malta have failed to win a single game in the competition (D2 L3). With the Faroes not winning a match since, this is another game where the draw seems the most likely option at [3.2]. It might look as if third placed Montenegro have nothing to play for from a cursory glance at the League C, Group 4 table, but they are actually in danger of being relegated alongside rock bottom Lithuania. Third placed teams can be relegated based on the number of points gained against the top two sides in their group. So far Montenegro only have one and need to add to their tally against a Romanian team looking for a victory to secure promotion. The need for points makes both teams to score likely to land at [2.1]. Portugal became the first team to qualify for the knockout stage of the Nations League when they drew 0-0 with Italy over the weekend and they have achieved this without the services of Cristiano Ronaldo. Poland are already relegated and there's little to suggest that Portugal won't end their campaign with another victory. Back them to win at [1.7]. Serbia need a win to be assured of promotion to League B and are rightly a very short price to beat a Lithuania team that are already relegated after losing all five of their Nations League games. It's pretty hard to find much value in a Serbian win, especially considering that they don't tend to score too many goal. The half-time/full-time should land, but it's not a great price at [1.6]. A win for Sweden would secure promotion to League A, while Russia just need to avoid defeat to top League B, Group 2. The match could go either way, but what does seem certain is that it will be a tight game with few goals. These sides drew 0-0 in October and with the last three Sweden games producing under 2.5 goals, it's no surprise to see it as a short price at [1.65].